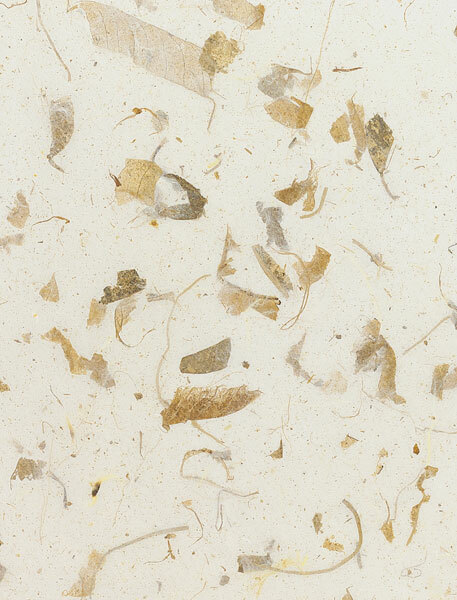 Natural pigments and fibers form the color and soul of these papers. Though machine made in Thailand, they look and feel like delicate handmade paper. Their pulp is harvested from sustainably-grown mulberry trees and Kozo plants. Mango leaf inclusions.